We frequently receive inquiries from people asking how to establish legal proof and recognition of their Native American ancestry. To provide answers to this and related inquiries, we provide the following information to assist and guide those through the process. The first step is to determine if you have Native American ancestry is to take a DNA test. There are several type of tests. Take an Autosomal DNA test. Autosomal DNA is inherited equally from both parents. It is the 22 pairs of numbered chromosomes without the X and Y chromosomes. This test will prove definitely if you have or do not have Native American blood. Providers of the test include Ancestry.com, 23andMe.com, FamilyTreeDNA.com and National Geographic Genographic Project. If your text results show Native American ancestry, the next step is to visit the online resources of the federal government. 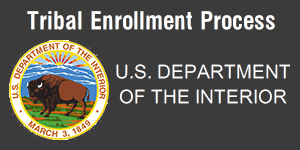 The U.S. Department of the Interior has published several articles on its website to help you trace your ancestry, document it, and contact tribes about enrollment. 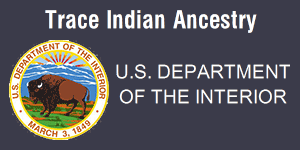 General Information about Ancestry, Genealogical Research, Enrollment Process, Benefits & Services Provided to American Indians and Alaska Natives, Cherokee Indian Ancestry, Dawes Rolls, and Contacting a Tribal Entity. If you prefer to hire a researcher instead of doing the work yourself, the U.S. Interior Department recommends that you contact either of the following organizations for their list of genealogical researchers. There is a fee for their services. Using these government guides your next step will be to determine your roots to a specific tribe. 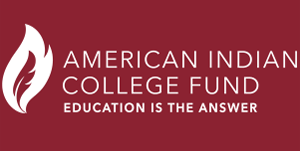 Since each tribe is a sovereign nation, the application and requirements for enrollment are determined by the tribe rather than by government policies. The National Archives is a great resource for American Indians information from 1774 to the mid 1990s. This includes the important census data of the Dawes Rolls and the Guion Miller Roll. The U.S. Bureau of Indian Affairs issues this certification card showing your blood quantum and tribal affiliation. Blood quantum is an individual's percentage of Native American blood. The requirements for member enrollment are established by each tribe. You must contact the tribe for instructions.